Missouri auditor and gubernatorial candidate Tom Schweich has been found dead in an apparent suicide, according to local media reports. Schweich, considered a leading Republican contender for the party’s 2016 nomination for state governor, died Thursday after being transported to a hospital in the wake of a “medical situation” at his home. Police told the St. Louis Post-Dispatch that he died from a single gunshot wound and that they are inclined to believe Schweich committed suicide. "What we know at this point suggests an apparent suicide," Clayton Police Chief Kevin Murphy said on Thursday. However, he added that an autopsy and investigation still need to be conducted. I am very sad and hurt so much for Tom Schweich's family. Good man. Dedicated public servant. Hug those you love. Schweich spokesman Spence Jackson released a statement regarding the auditor’s death, though he did not comment on reports of a suicide. 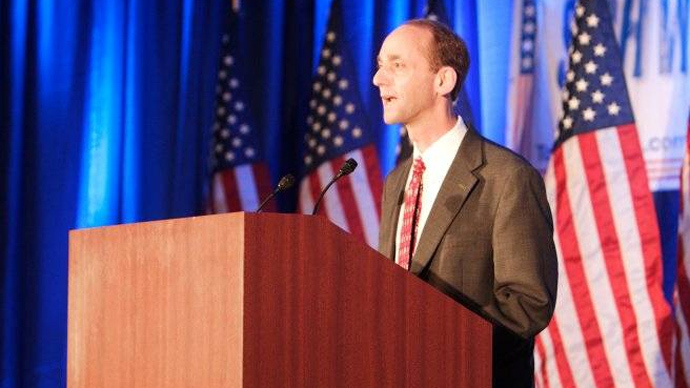 "It is with great sadness that I confirm the passing of Missouri State Auditor Tom Schweich today. Please keep in mind his wife Kathy and two children,” he said. According to the Associated Press, Schweich had served as Missouri’s auditor since 2011. He was re-elected in November 2014 and recently announced he would run for governor in 2016. Just seven minutes before a 911 call was made from his home, Schweich had left a message with the Post-Dispatch requesting an interview. The interview was set to focus on what Schweich believed were attempts by the state’s Republican Party chairman, John Hancock, to spread misinformation about his Jewish heritage. Schweich was an Episcopalian, though he did have a Jewish grandfather and said he was proud of his heritage. He was reportedly set to claim that Hancock was telling potential donors that he was Jewish in an effort undermine his campaign effort. Hancock denies the allegation. "I join all Missourians in mourning the passing of State Auditor Tom Schweich, a brilliant, devoted and accomplished public servant who dedicated his career to making Missouri and the world a better place," he said. "From his courageous work to combat the illegal drug trade abroad in Afghanistan to his tireless efforts to protect the interests of taxpayers here in Missouri, Tom Schweich's exceptional intellect and unwavering dedication to public service left a legacy that will endure for many years to come. The First Lady and I send our most heartfelt condolences to Tom's wife Kathy and two children, Emilie and Thomas, Jr."